Malignant mesothelioma, an aggressive malignancy caused almost exclusively by asbestos exposure, is one of the rarest and most deadly cancers. Although scientists around the globe continue to develop and test new methods for diagnosing and combatting it, there is still no cure. When Californian Andy Ashcraft was diagnosed with late stage pleural mesothelioma in 2010, he was told he might have as little as three months to live. At best, his doctors gave him a year. But Andy and his wife Ruth refused to accept those odds and went to work to find alternative therapeutic approaches for mesothelioma, including the controversial cannabis oil. Their experience is the focus of this special series. For two decades, handling asbestos-laden construction products was just part of Andy Ashcraft’s customer service job at a home improvement store. When the 69-year-old eventually left the job to become a high school math teacher, he thought he’d left that industry far behind. But, like many people who worked in industries that exposed them to asbestos, the job would come back to haunt him in 2010. “I worked on the second floor of the high school and I started to notice that I just got tired climbing the steps, more tired than I should be,” recalls Ashcraft. He was put on antibiotics for what his doctor thought might be the start of pneumonia. But just a few days later, a sonogram revealed a chest full of fluid, a common side effect of pleural mesothelioma. Surgery followed and confirmed the worst: Stage IV malignant pleural mesothelioma. Believing that he had less than a year to live, Andy agreed to take part in a clinical trial of the monoclonal antibody amatuximab (MORAb 009). For three years, the drug seemed to be holding his mesothelioma at bay. But, in late 2013, things took a turn for the worst. “He was so ill that our adopted family next door helped orchestrate a family photo because they thought it would be his last,” recalls Ruth. 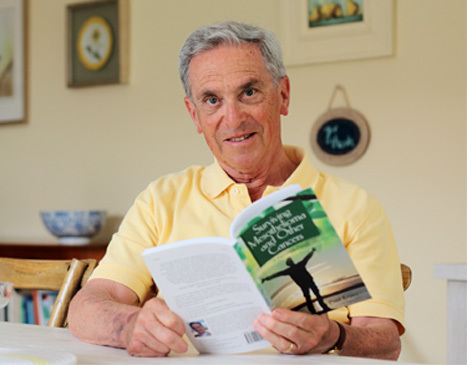 Although Andy was put on the standard mesothelioma chemotherapy combination of pemetrexed (Alimta) and cisplatin, Ruth had heard about cases of people treating their cancer with the highly-concentrated oil of the cannabis plant and urged Andy to give it a try, as well. In January 2014, Ashcraft added daily doses of cannabis oil to his chemotherapy regimen. When he had to stop chemotherapy in July to prepare for surgery on mesothelioma tumors that were pushing through the abdominal wall, he made the decision not to resume it. Relying only on faith, a healthy lifestyle, a variety of natural oils, and 1 gram daily of high-quality cannabis oil (for which the Ashcraft’s pay $1000 a month), Andy is now defying all odds with no further progression in his mesothelioma tumor for almost two years. Although cannabis oil and other marijuana plant derivatives have been used for centuries as an alternative treatment for a variety of ailments, including cancer, the US Drug Enforcement Administration still lists marijuana and its cannabinoids (biologically active ingredients) as Schedule I controlled substances. Even so, 24 states and the District of Columbia have now approved the use of marijuana derivatives to treat some medical conditions. Another 16 states have laws regarding one of the primary bioactive ingredients called cannabidiol (CBD). The Ashcrafts are able to obtain their cannabis oil, which contains a mixture of both CBD and another active ingredient called tetrahydrocannabinol (THC), through California’s Medical Marijuana Program. For its part, the American Cancer Society acknowledges that a number of laboratory and animal studies have suggested that THC and CBD can “slow growth or cause death” in some types of cancer. But the closest they come to an endorsement is simply a call for more research. But Paul Armentano, Deputy Director of NORML, an organization whose aim is to reform marijuana laws, says the ACS must also shoulder some blame for the lack of research to-date. “As the largest non-governmental funder of cancer research in the US, the ACS is equally complicit in failing to promote any legitimate scientific inquiries into the cannabis plant,” says Armentano. In the meantime, Ruth and Andy Ashcraft are not waiting for more research to tell them what they already know: What they are doing seems to be keeping Andy’s mesothelioma in check. He feels and looks strong and healthy, more than five years after he was supposed to have died. Andy takes one gram daily of cannabis oil which he ingests in four increments using capsules that Ruth fills. Because the cannabis oil contains very low levels of THC, the component in marijuana that causes a “high”, it does not have a psychoactive effect on him. He also takes fish oil, 8 drops daily of frankincense oil, 4 drops of lavender oil, and 8 drops of a third oil which can be lavender, thyme, clove, orange or lemon. He gets acupuncture every other week and monthly massages and he and Ruth try to stay active. The one thing he sheepishly admits that he doesn’t watch carefully is his diet. Stay tuned to the Surviving Mesothelioma website for the next installment in our series on cannabis and medicinal uses of marijuana. ied health professional before starting any new treatment or making any changes to an existing treatment. 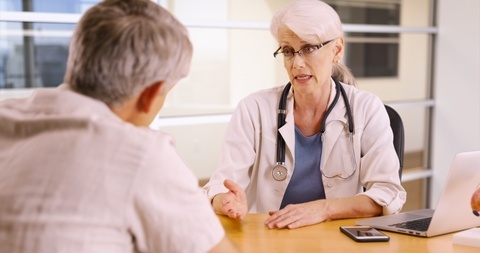 You should not delay in seeking or disregard medical advice based on information in this article. Cannabis oil is NOT FDA approved for the treatment of any cancer.